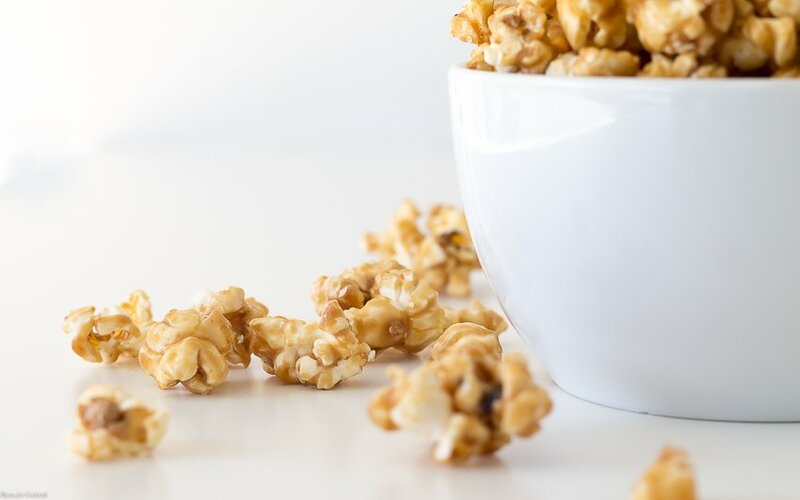 Everything about this Salted Chipotle Caramel Corn makes you want to curl up and binge-watch your favorite shows. 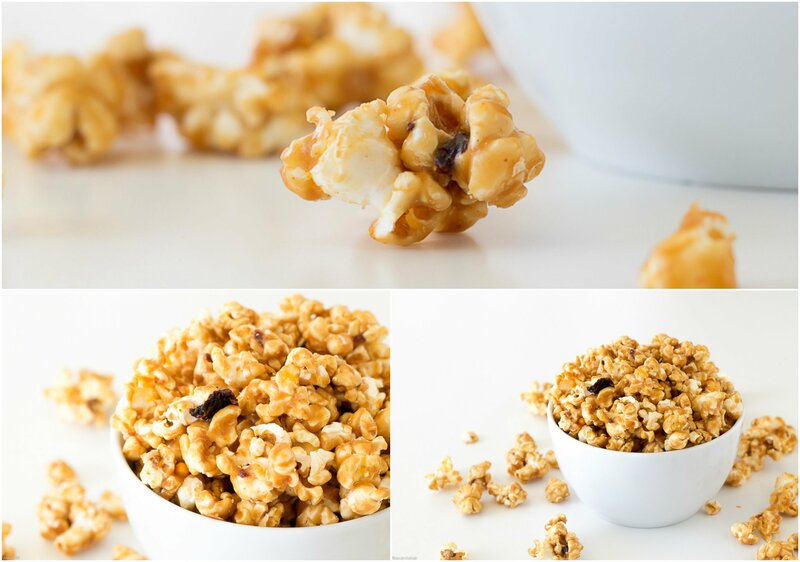 Freshly popped popcorn coated with a adobo spiced caramel and a pinch of salt. Do you like salty snacks? Or are you a sweet tooth like Paul? 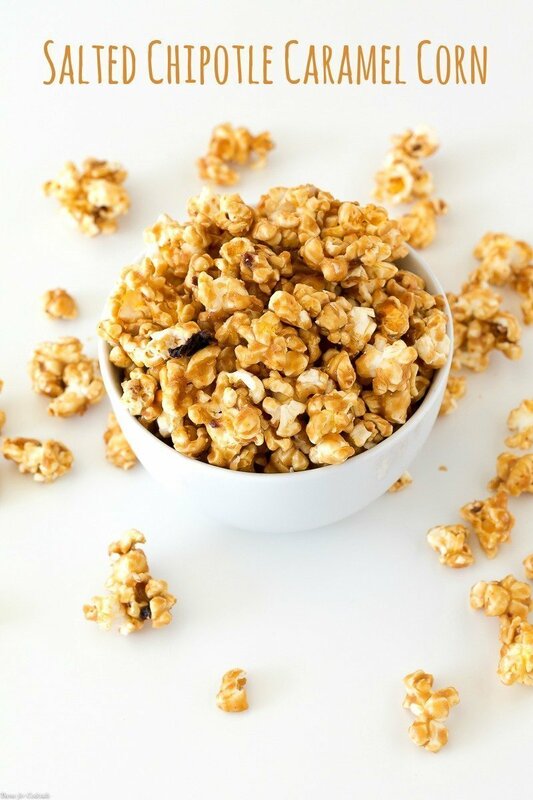 Personally I love a little spice which makes this Salted Chipotle Carmel Corn a win-win for all of us! 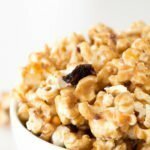 [bctt tweet=”Salted Chipotle Caramel Corn #snacks #sweets #bingewatch” username=”thyme4cocktails”] If you follow us then you know how much we love recipes with a little kick. 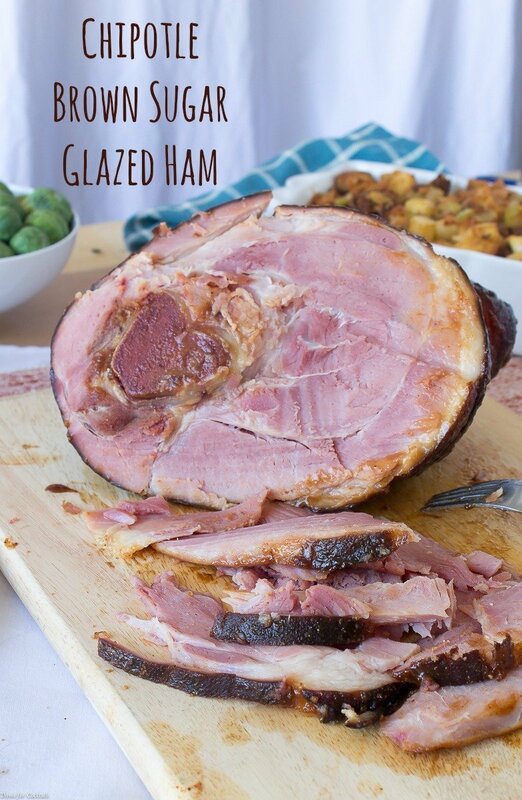 Doesn’t matter if it’s a cocktail like a Spicy Tangerine Margarita or a holiday dish like my Chipotle Brown Sugar Glazed Ham. 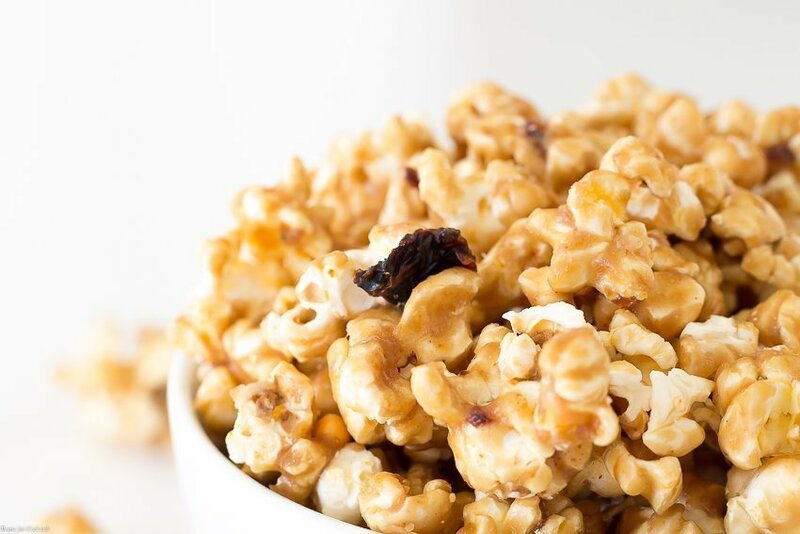 In fact it was the ham that inspired this Salted Chipotle Caramel Corn. The smokiness of the adobo sauce is a delicious pairing with brown sugar, which is the base of the caramel in this recipe. And a sprinkling of kosher salt really sets it apart. I won’t lie, I am excited to try this combo as a stand along caramel. Or coffee maybe! Would you drink a spicy salted caramel latte? Sounds pretty intriguing to me! You can use straight adobo sauce or finely mince the chipotle peppers and add them too. It really depends on how much of a kick you want! 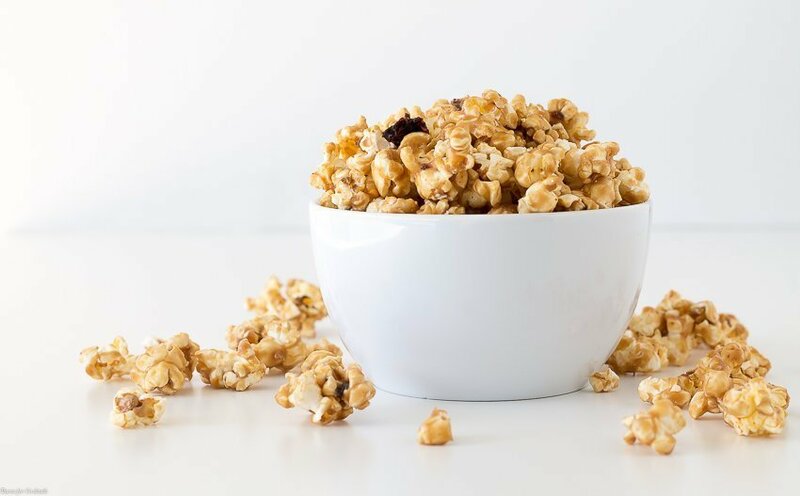 Everything about this Salted Chipotle Caramel Corn makes you want to curl up and binge-watch your favorite shows. Freshly popped popcorn coated with a adobo spiced caramel sauce and a pinch of salt. Preheat oven to 200 degrees. Line an extra large baking sheet with foil, set aside. Add butter, sugar, corn syrup and spices to a large heavy bottomed saucepan. Bring to a low boil, stirring occasionally. Once bubbling, set a timer for 5 minutes. Do not stir. After 5 minutes use a wooden spoon to stir in baking soda. Mixture will bubble up. Spread popcorn out on baking sheet. Drizzle evenly with caramel, toss to coat and sprinkle with salt. Bake 30-45 minutes, stirring occasionally.